July 17, 2009 CKP and SSLeave a Comment on harvest day parade! Our school will be participating in the Harvest Day Parade this year! It will be the morning of Saturday, July 18th. kids’ modes of transportation be it bike, trike, scooter or wagon. 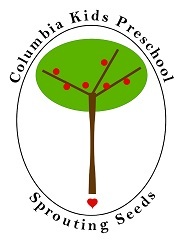 remember to wear your Columbia Kids and Sprouting Seeds T-shirts! the assembly area and walk in. bringing up the rear of our group during the parade. for Seeds kids is to bring the rain sticks they made. • Don’t forget to bring water, snacks, and sunscreen for your family.